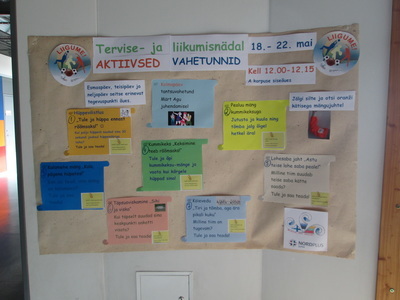 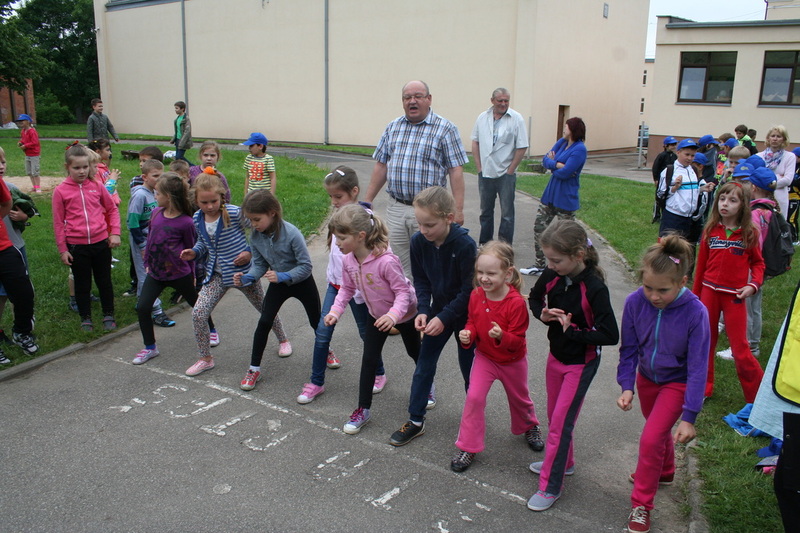 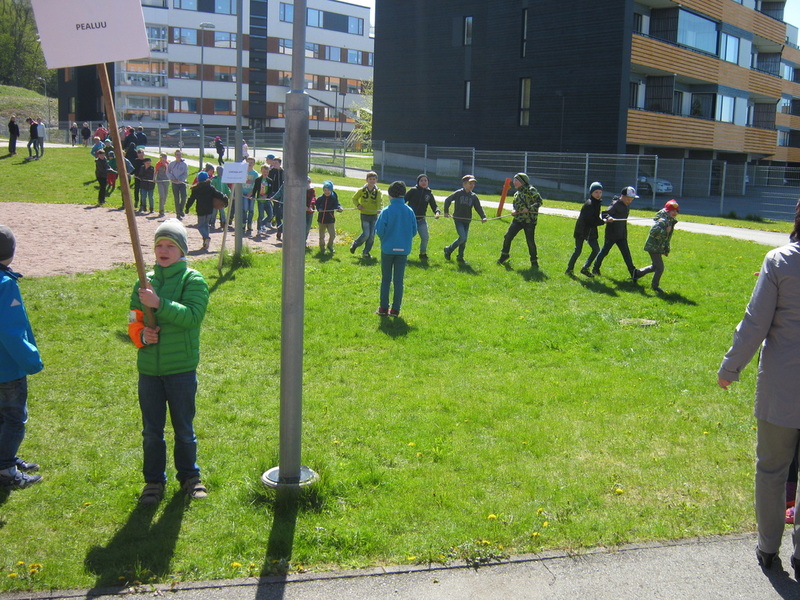 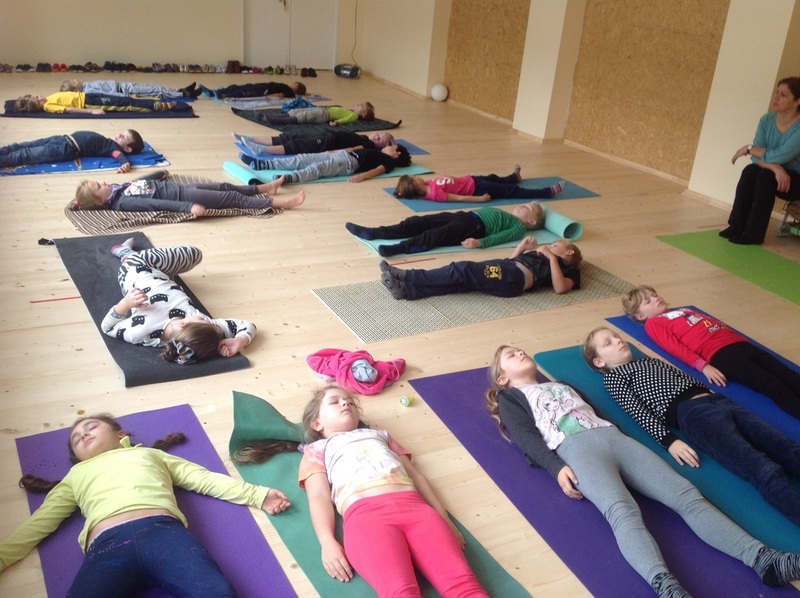 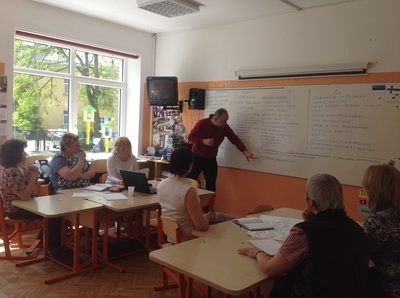 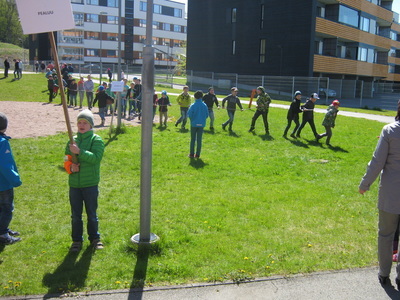 18th - 22nd May the health and moving week was organized. 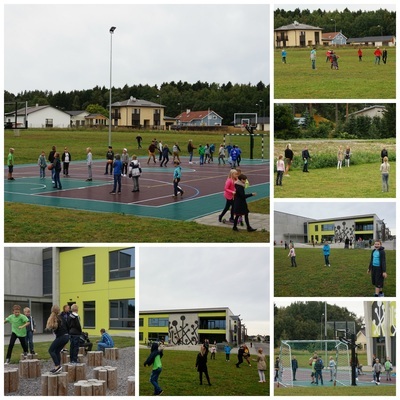 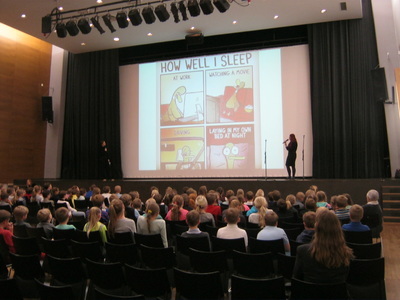 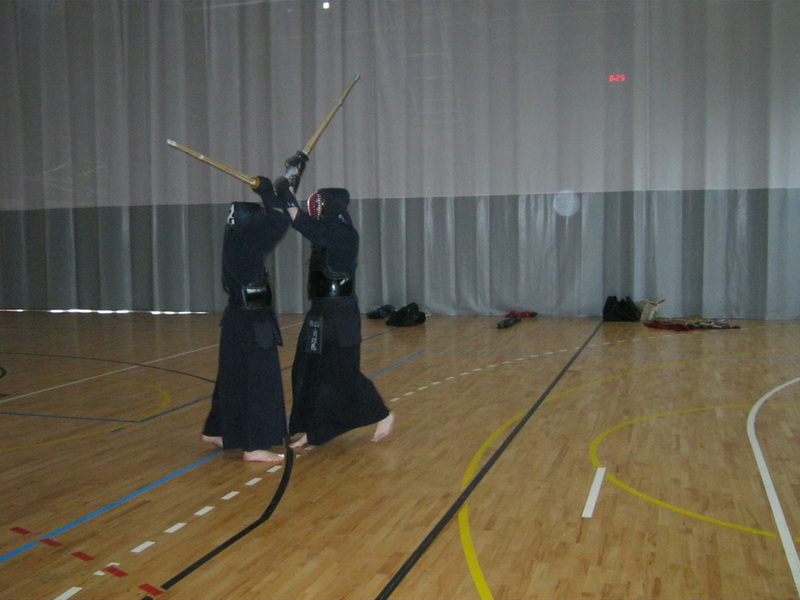 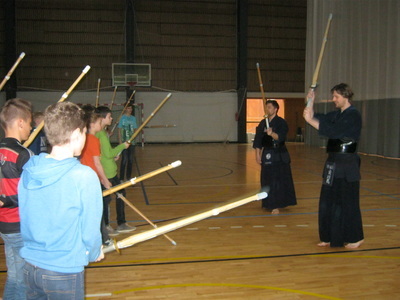 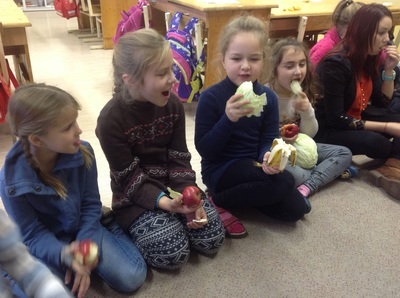 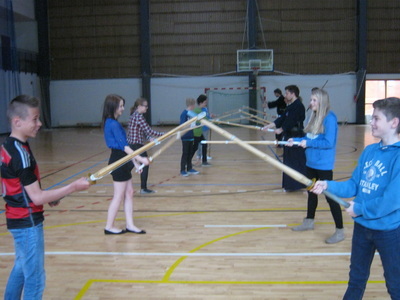 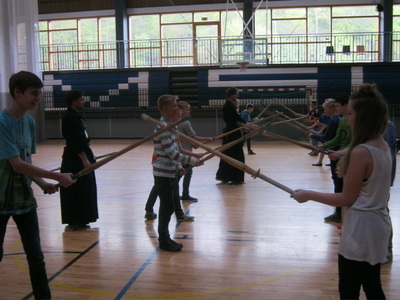 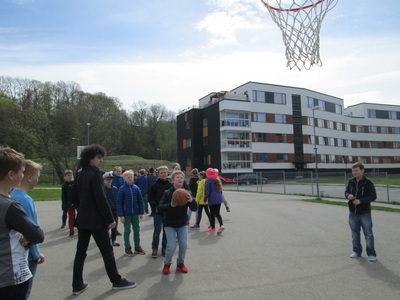 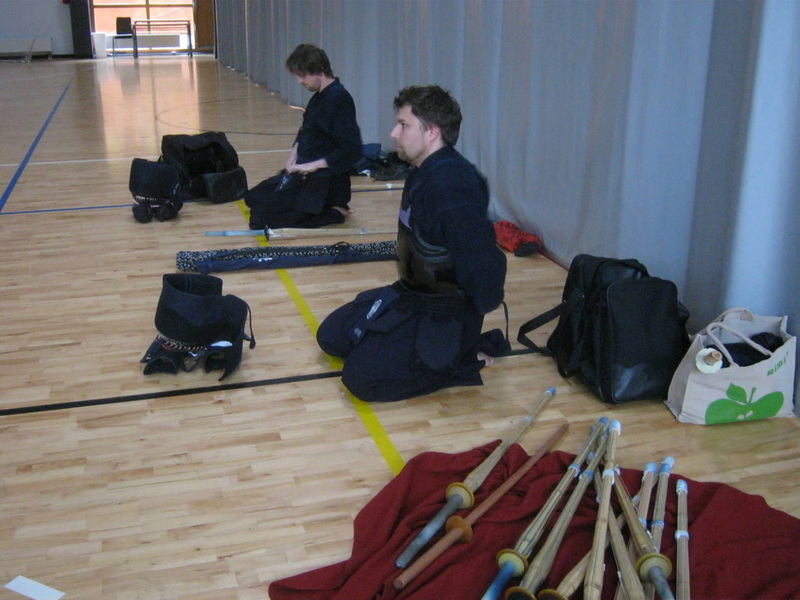 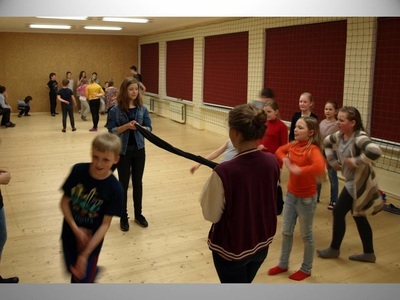 Different lecturers gave lesssons to the 1st- 6th graders about the topics such as sleeping, moving, Kendo, Shindo and active lifestyle, healthy food. 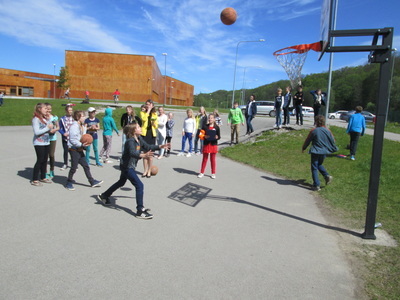 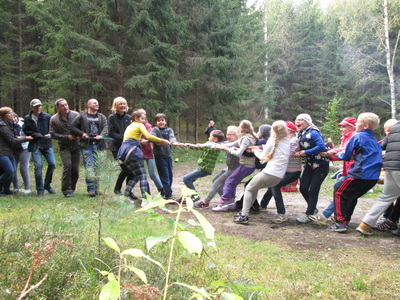 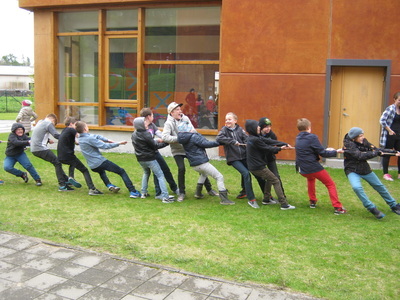 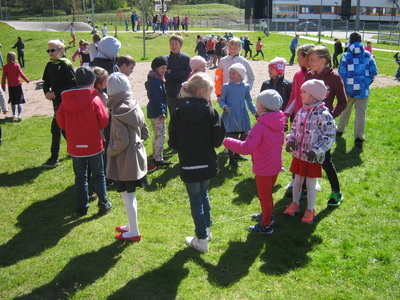 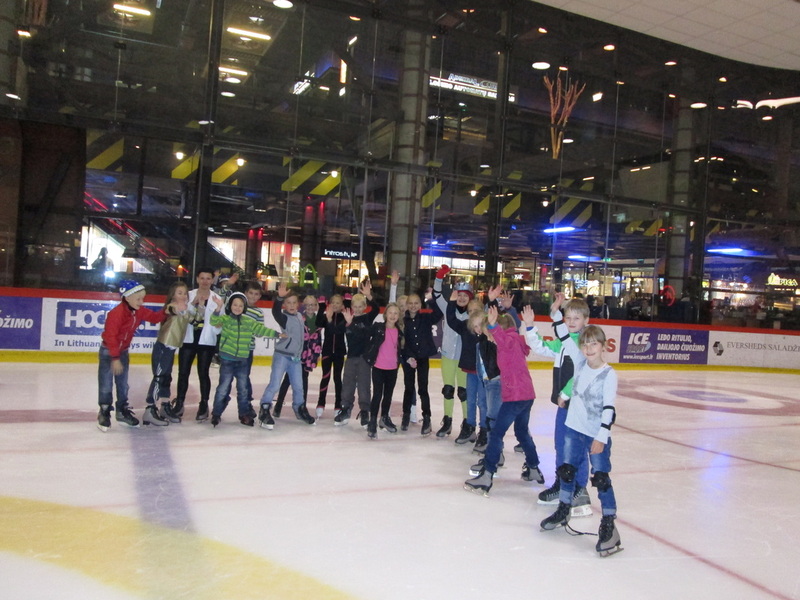 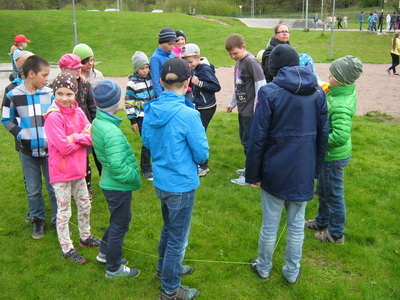 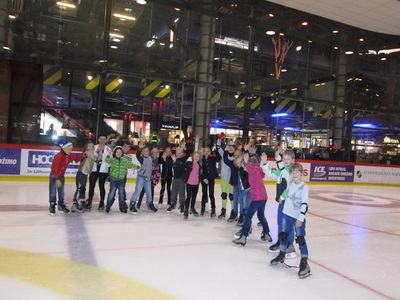 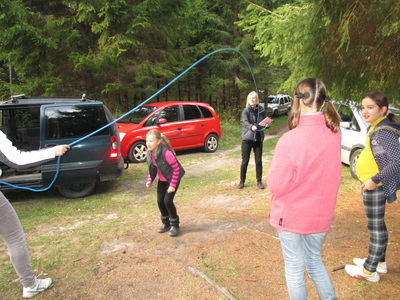 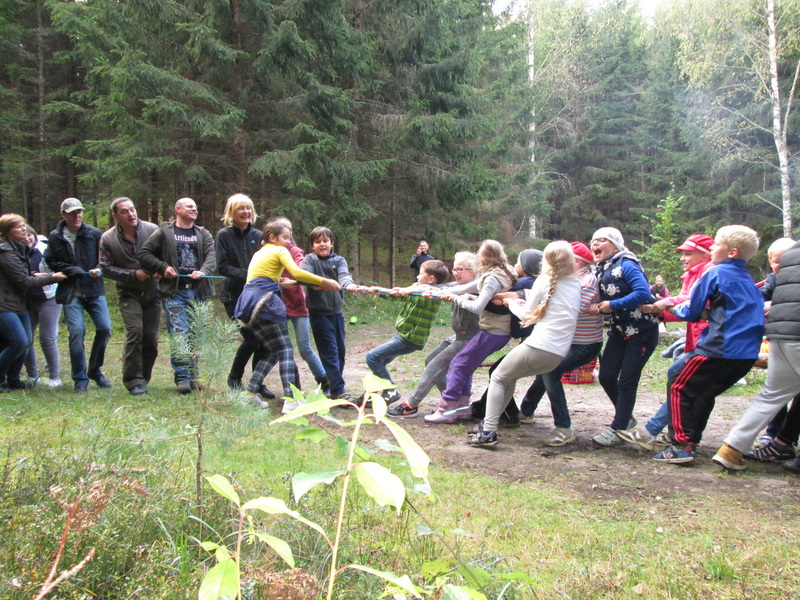 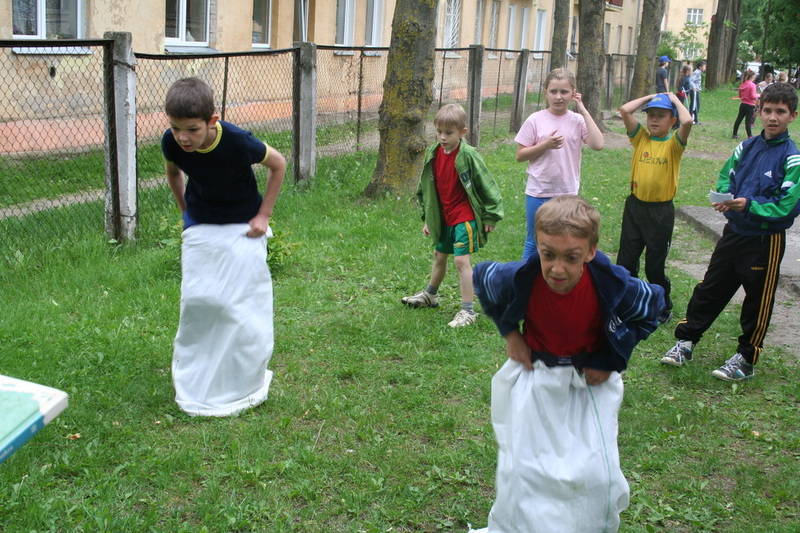 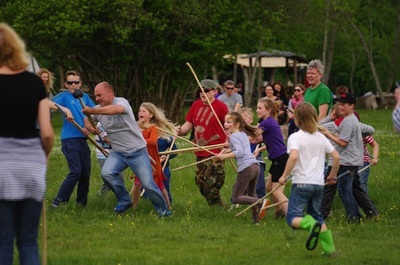 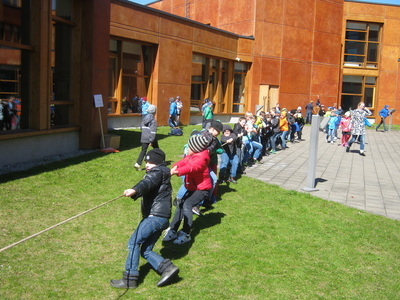 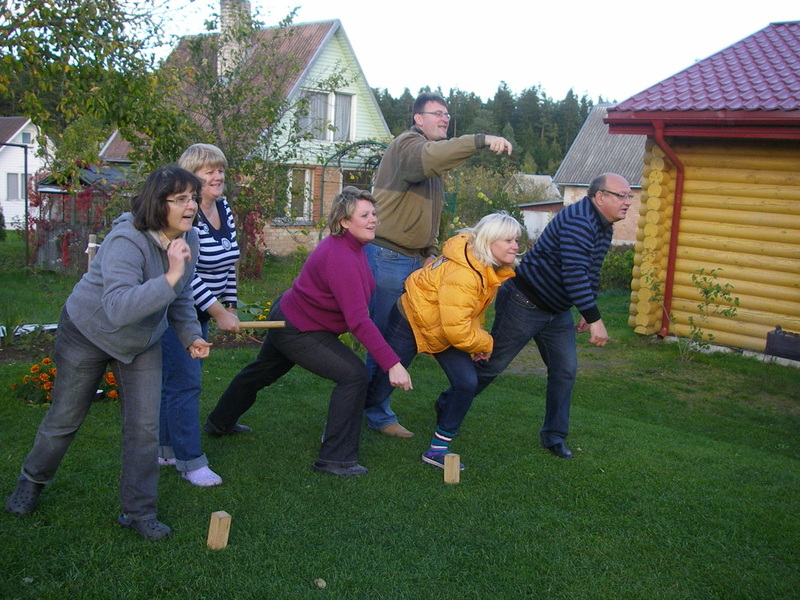 The active breaks were organized by game leaders outdoors. 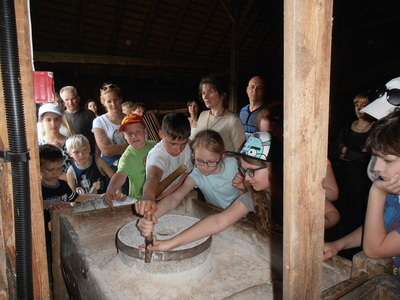 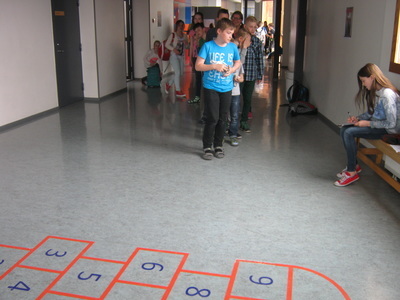 The students had a chance to choose from seven gamestops each day. 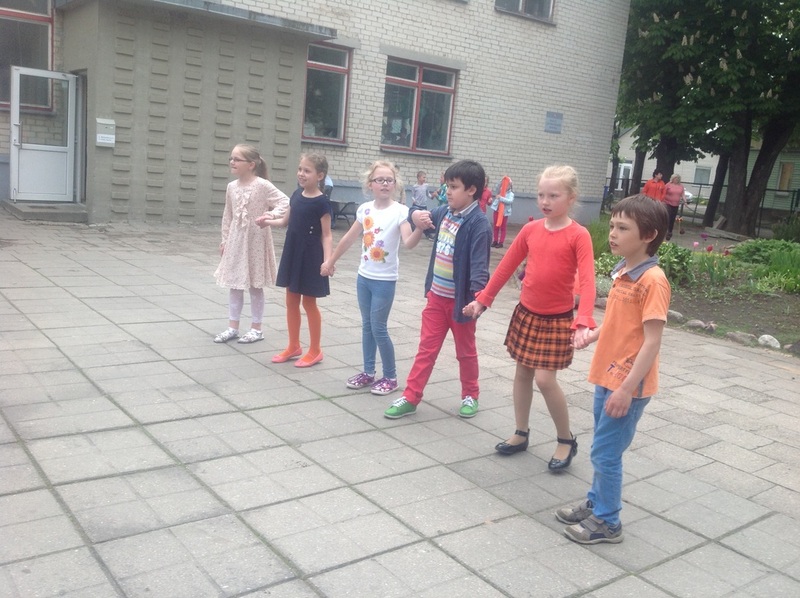 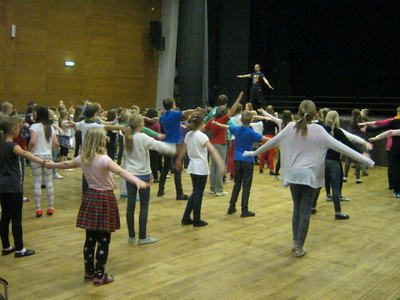 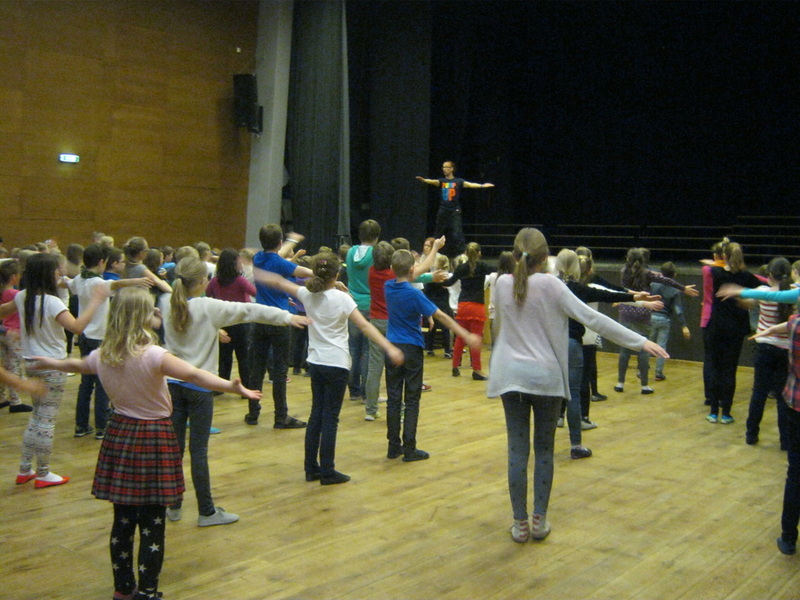 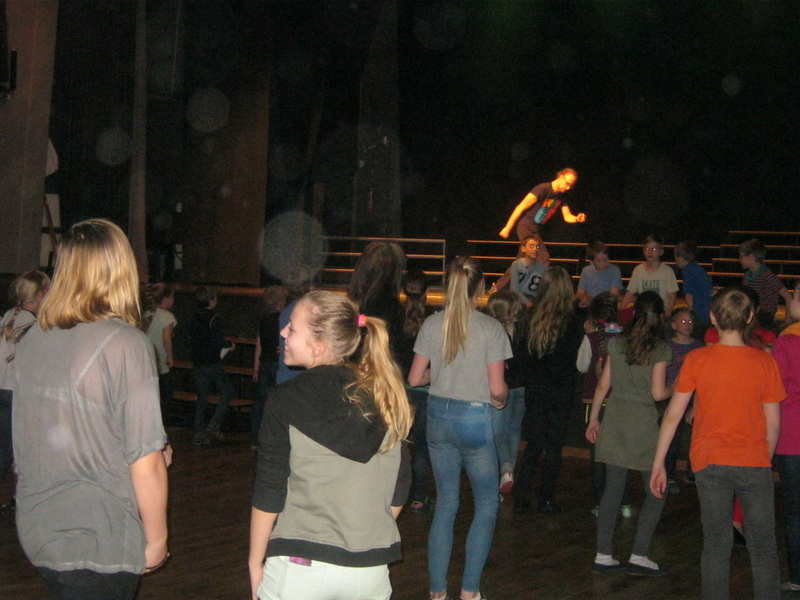 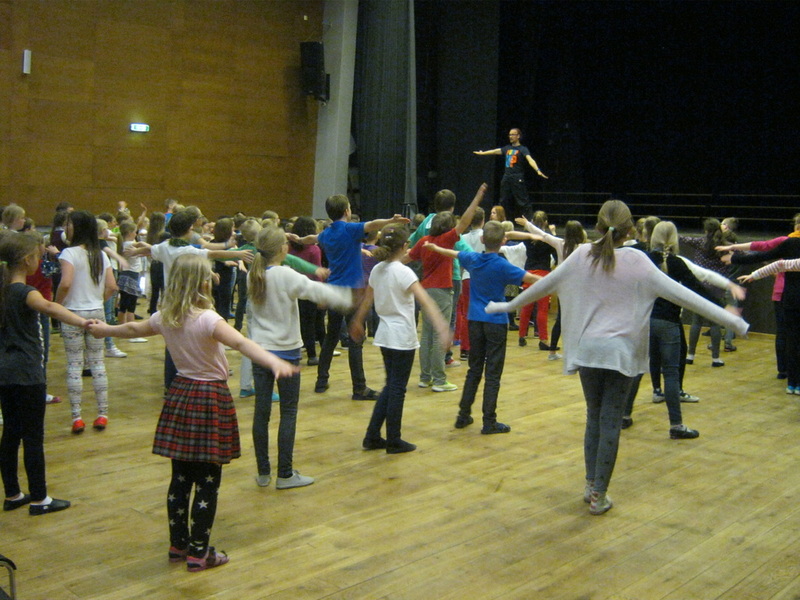 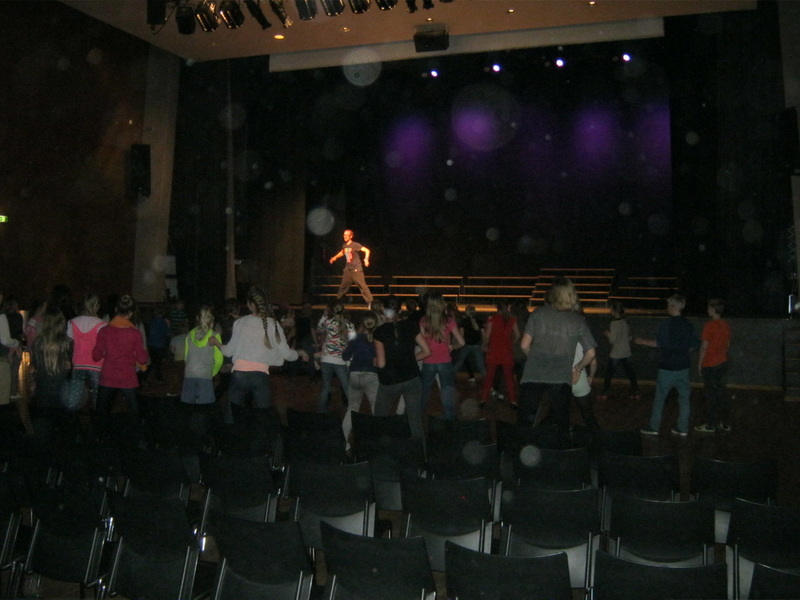 On Wednesday dance break was led by Märt Agu. 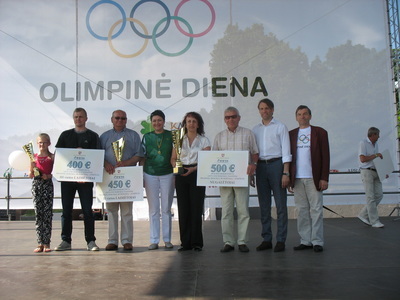 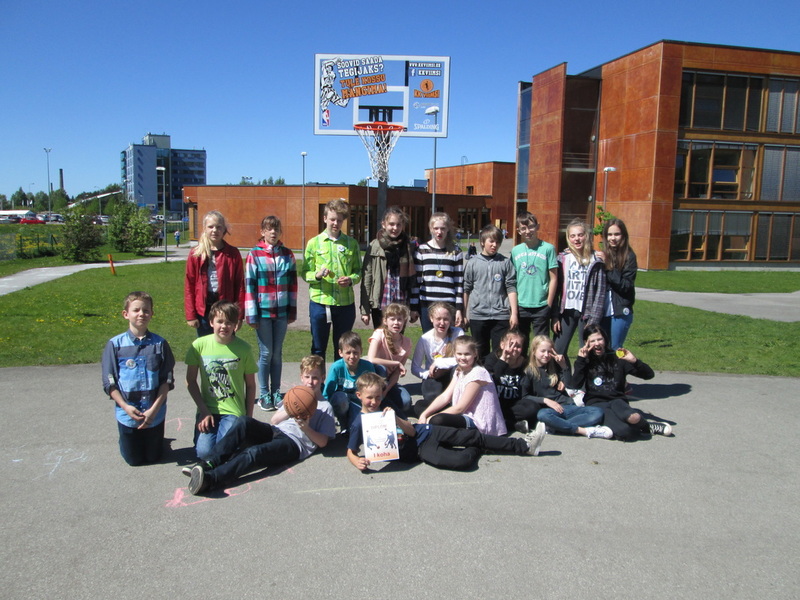 The Sportiest School 2014-2015 school year, 2nd place. Whole school moving day on the 30th September. 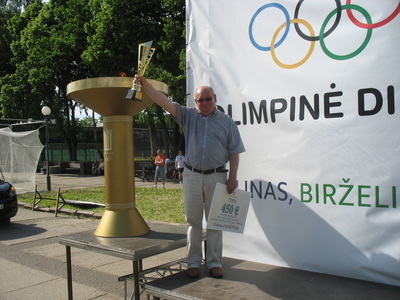 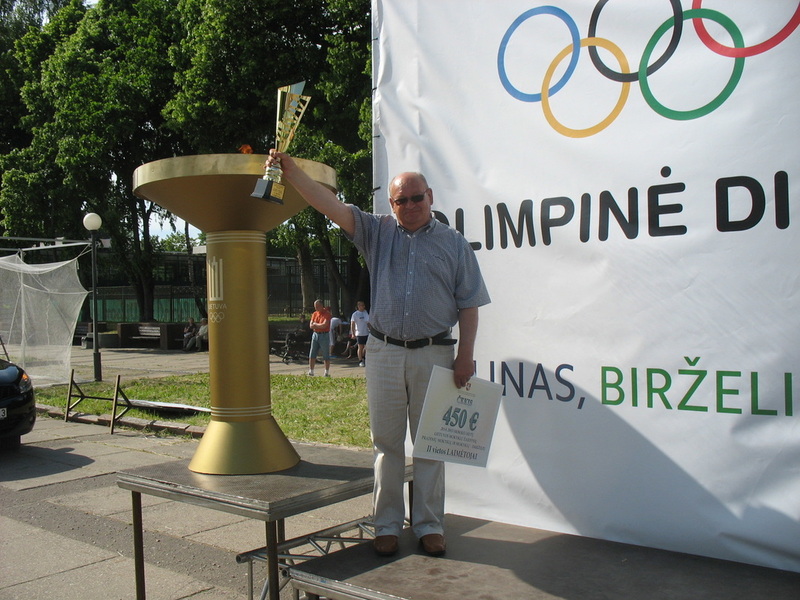 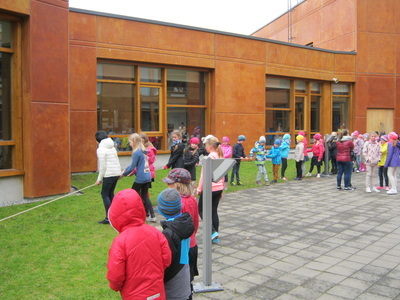 Part of the International move Week. 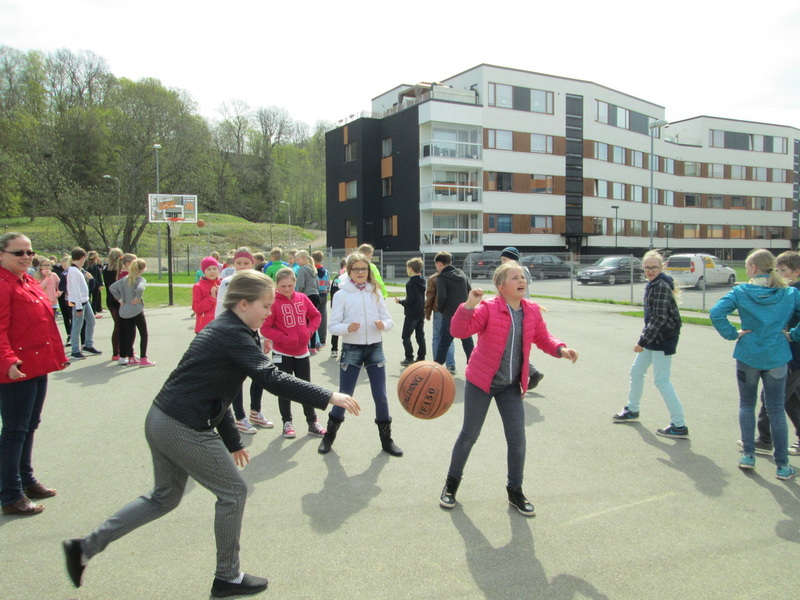 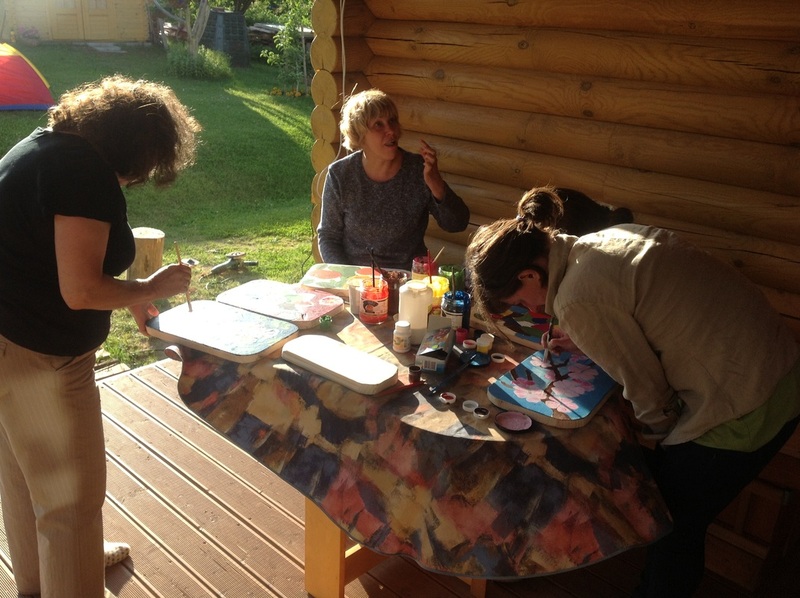 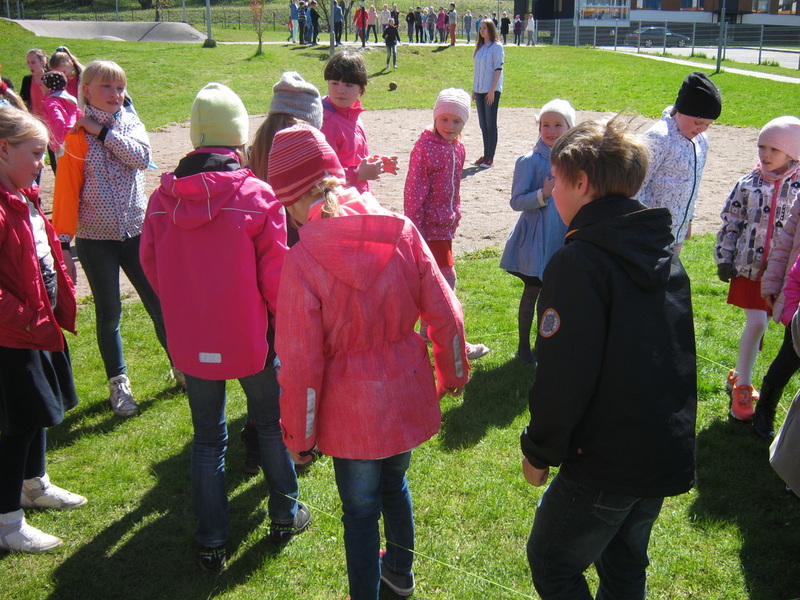 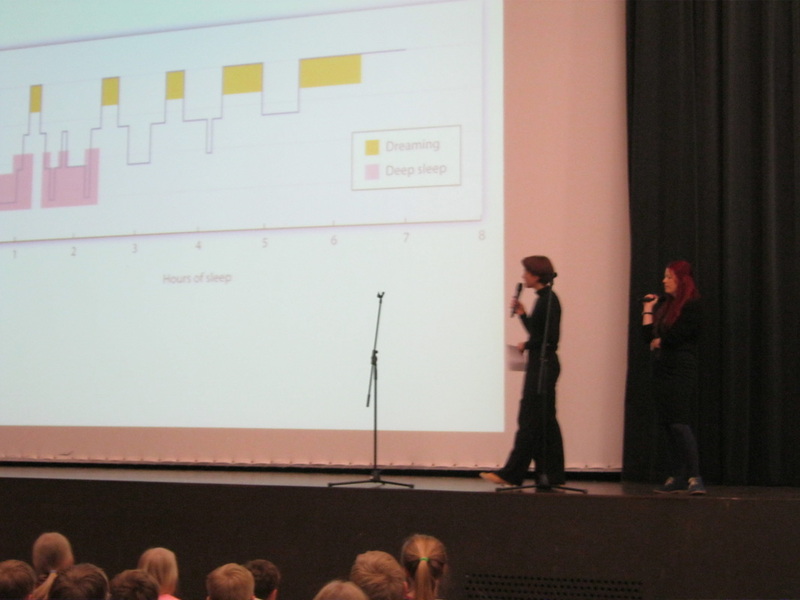 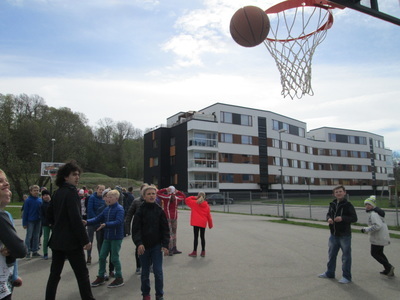 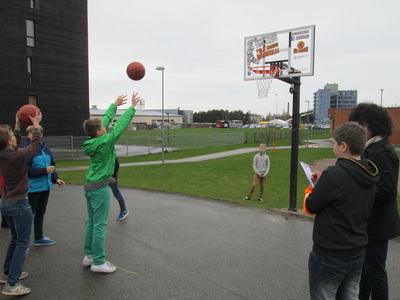 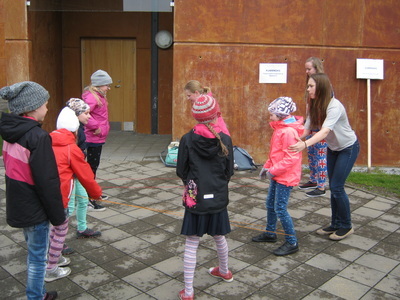 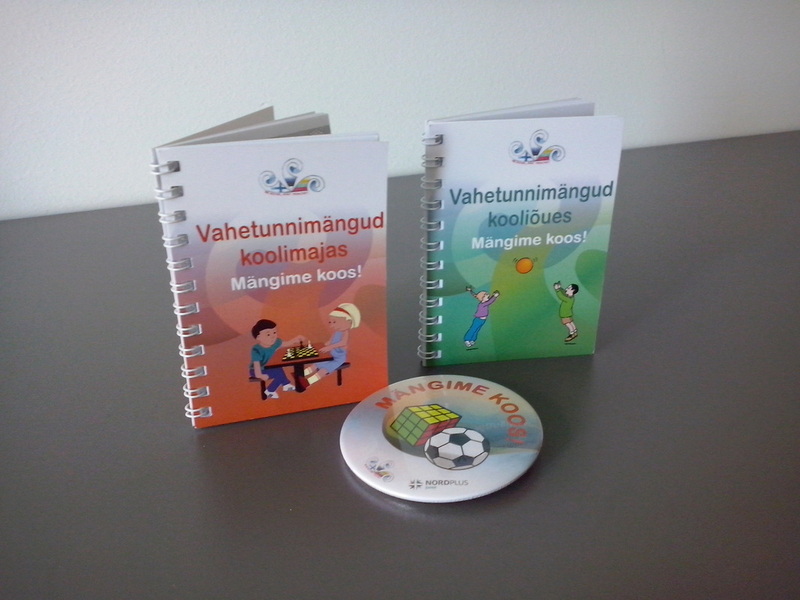 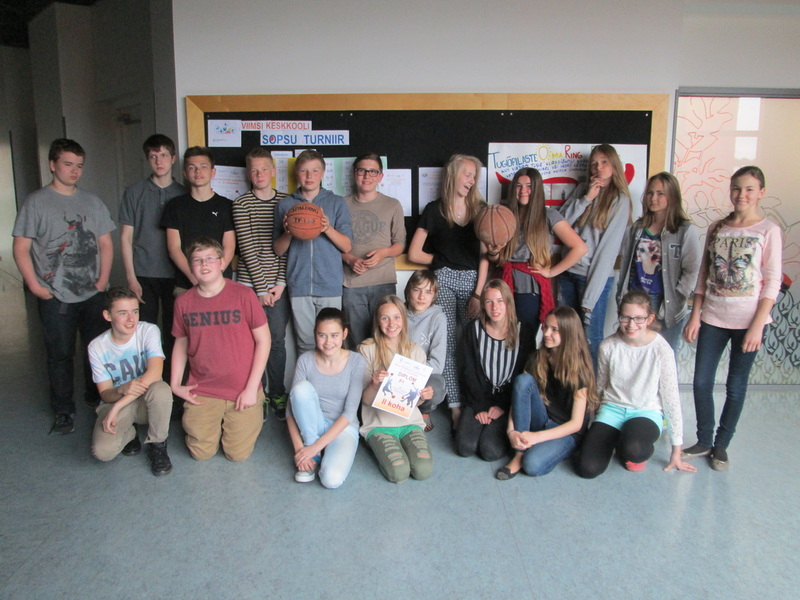 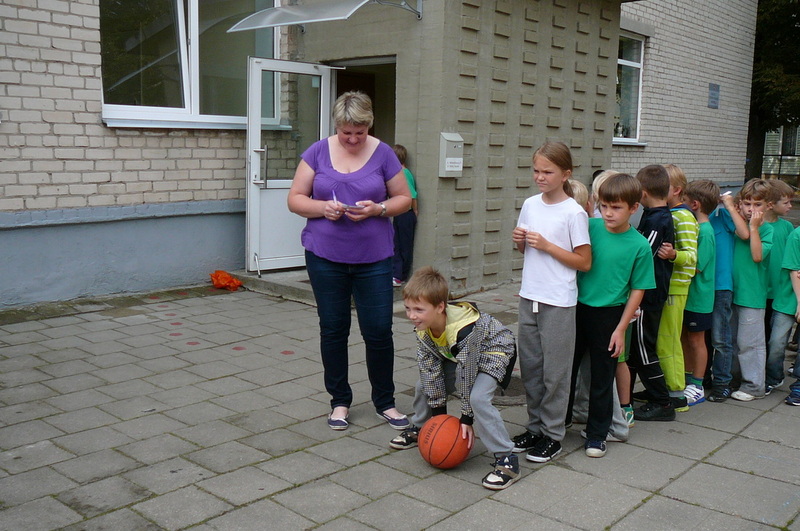 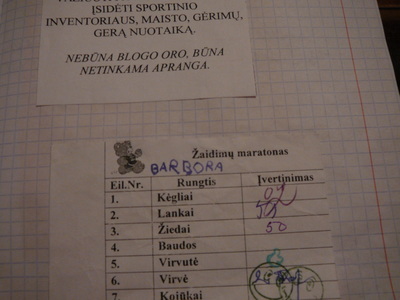 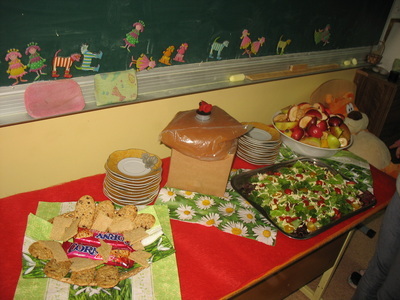 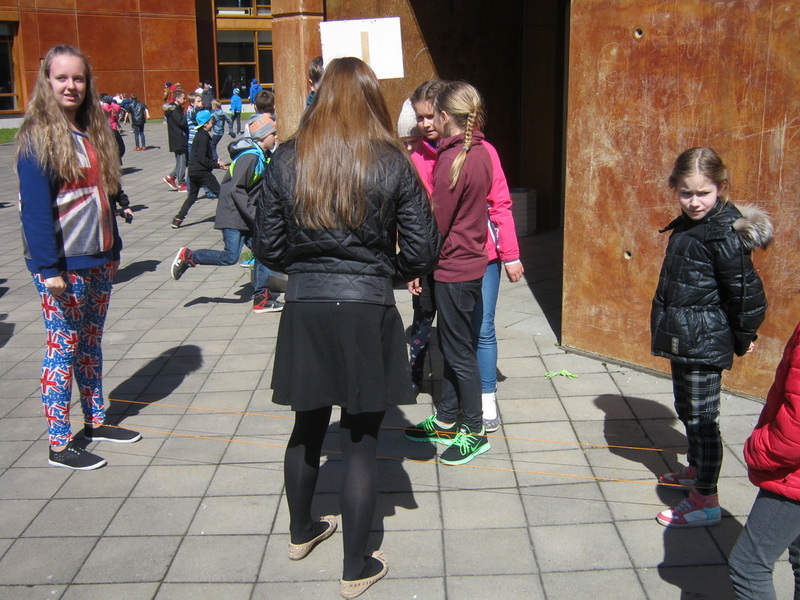 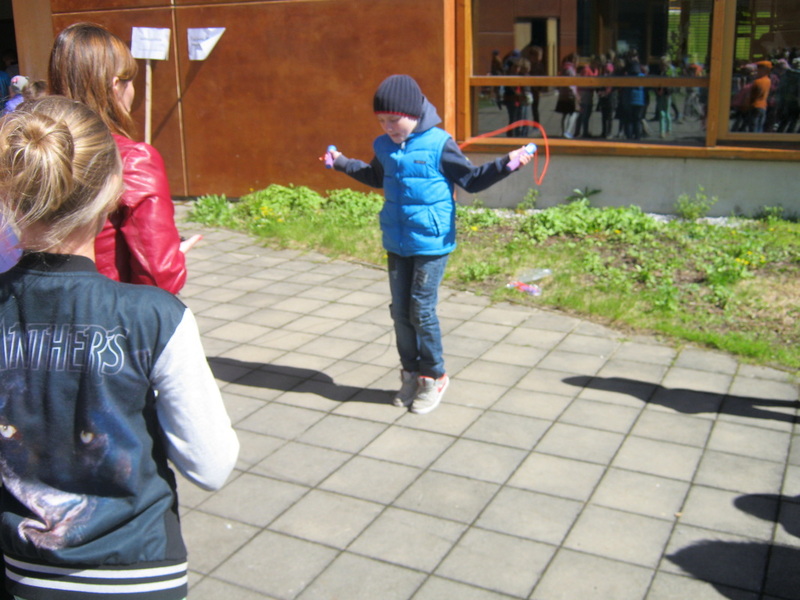 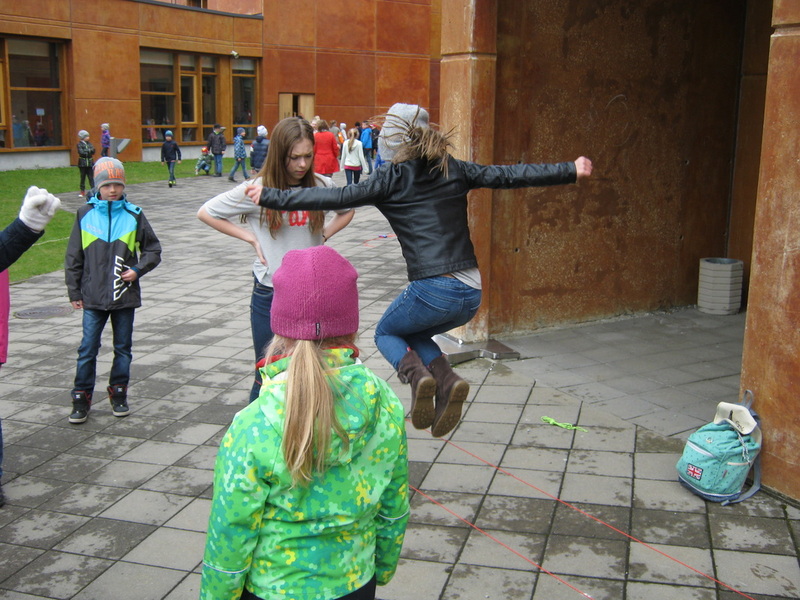 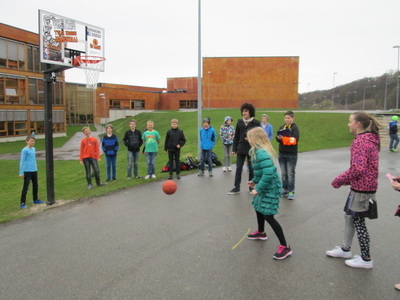 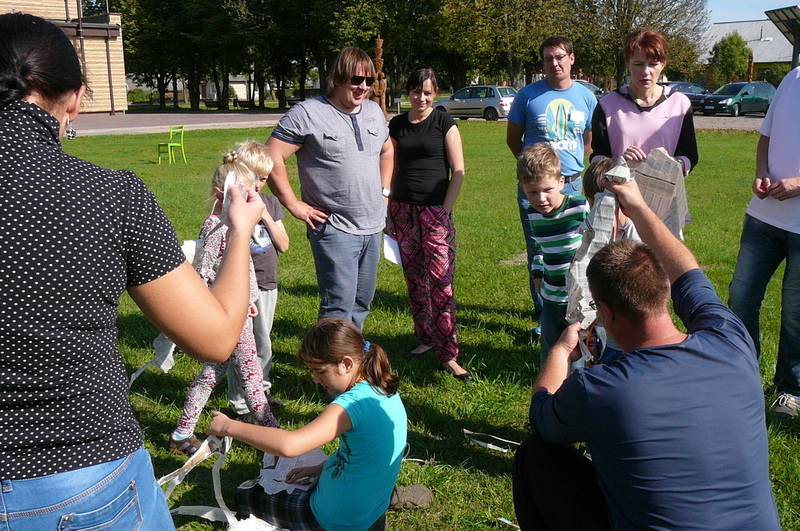 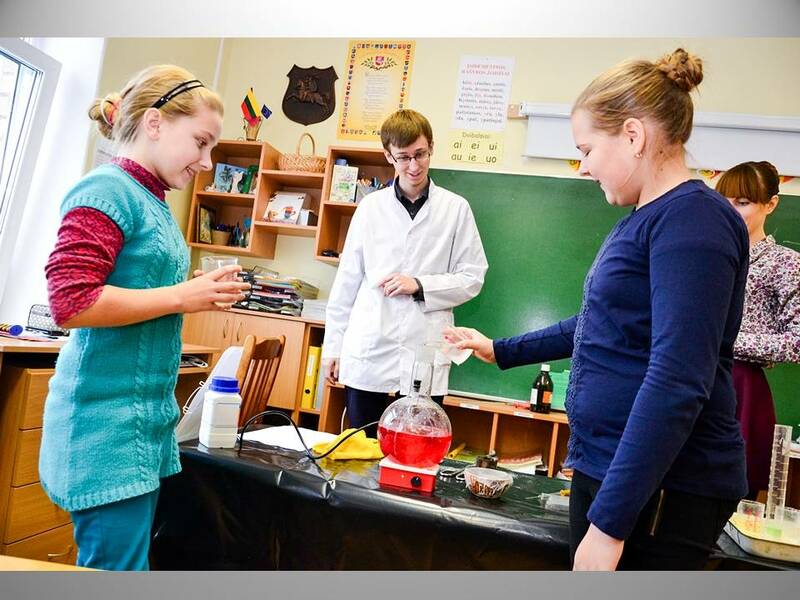 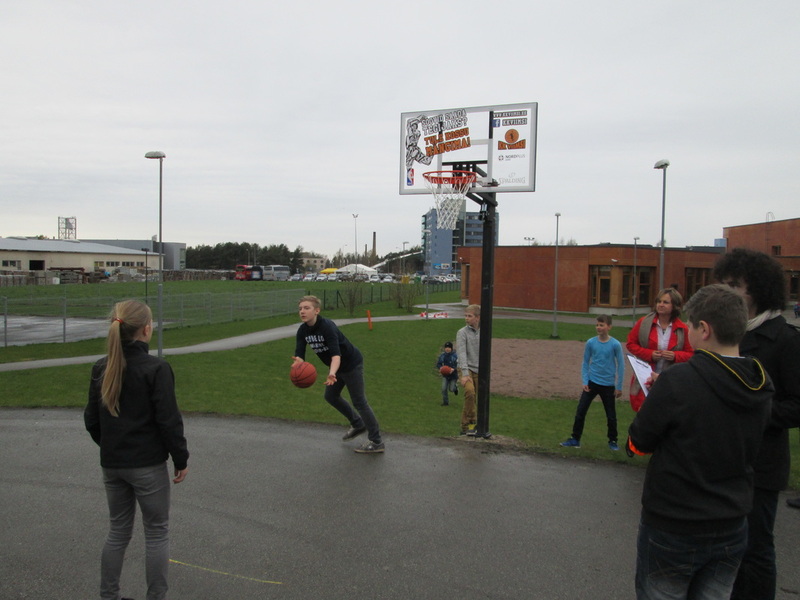 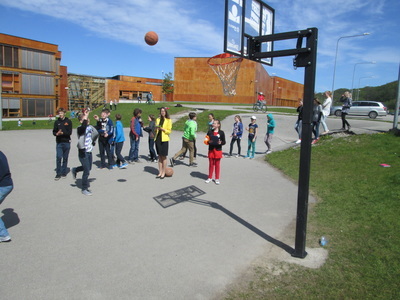 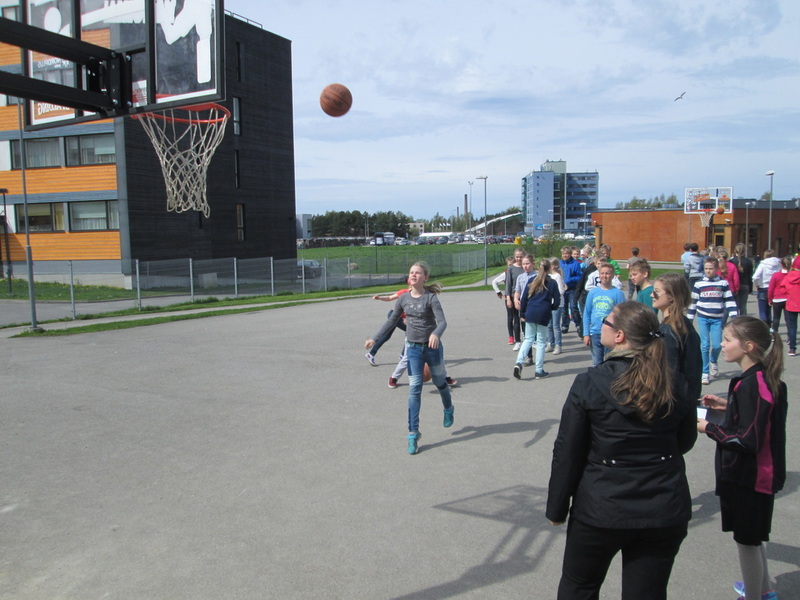 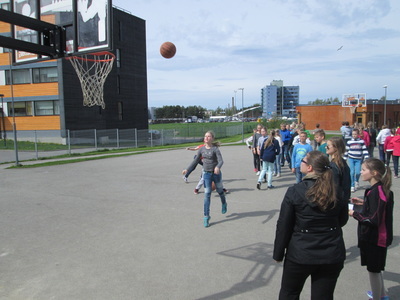 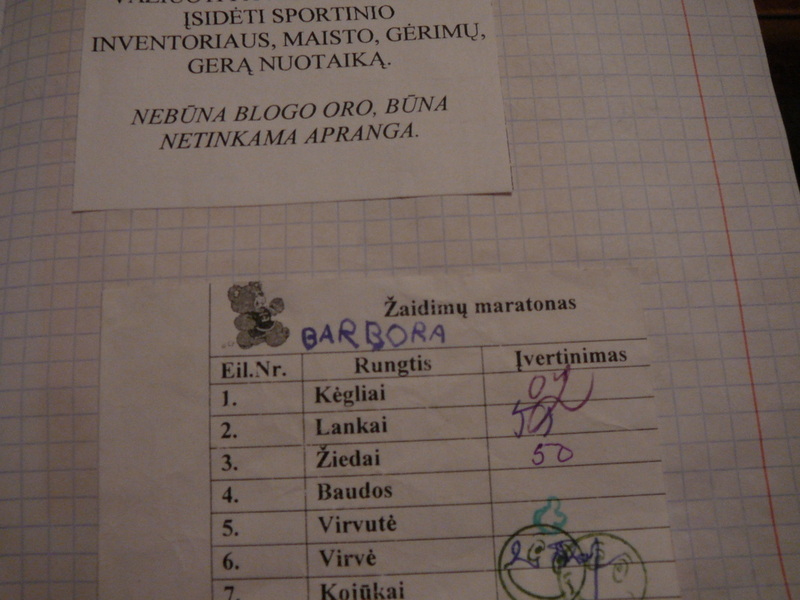 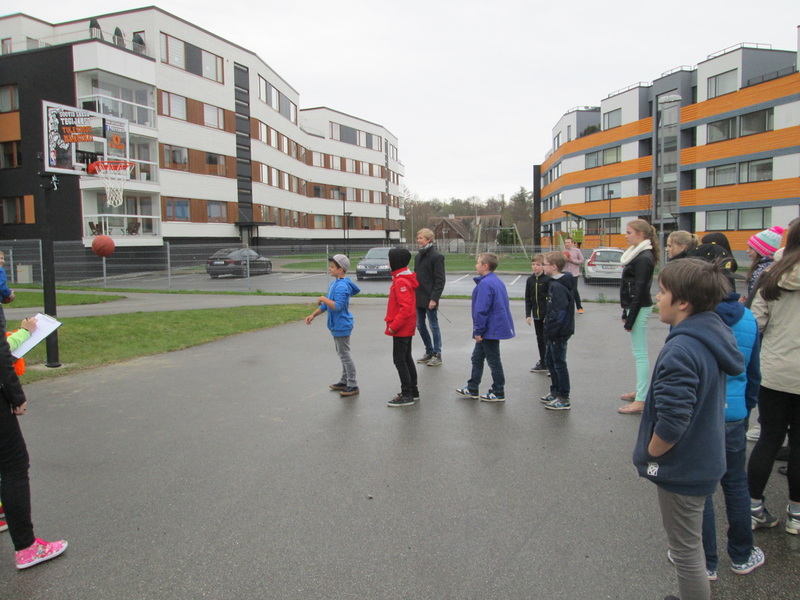 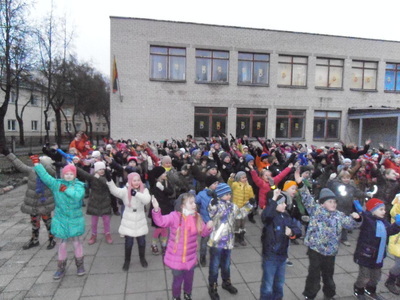 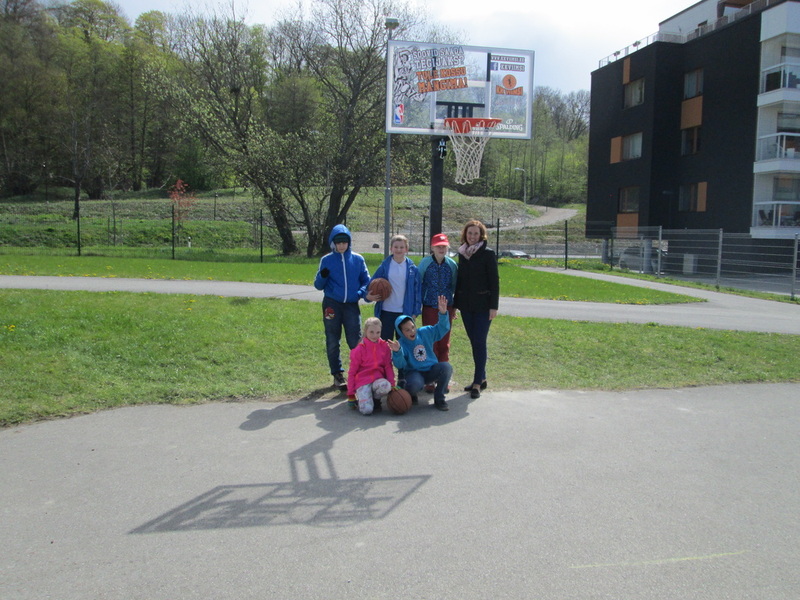 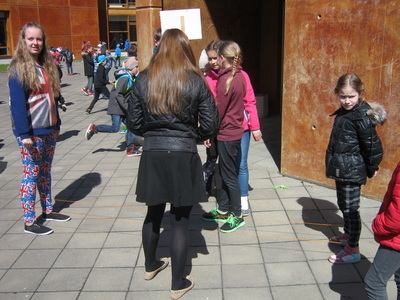 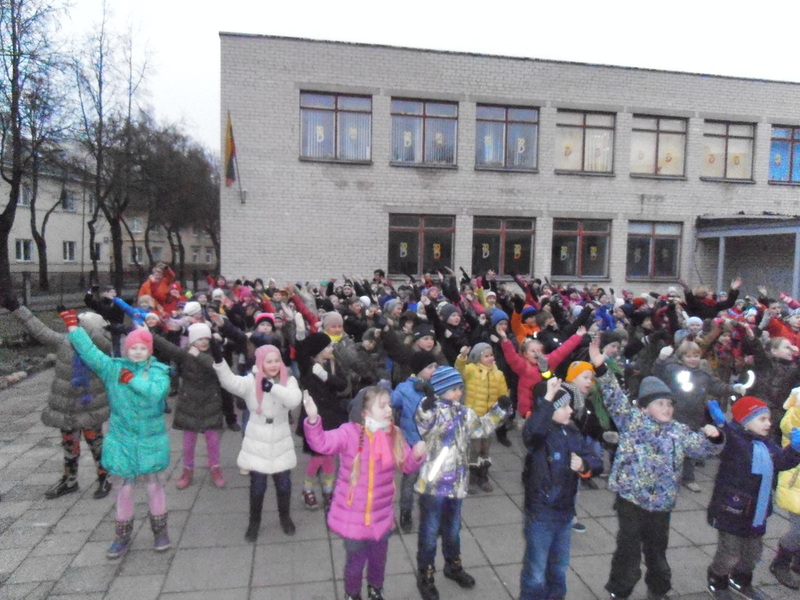 The Estonian team prepared the pocket game books that the students can use for break time games indoors and outdoors. 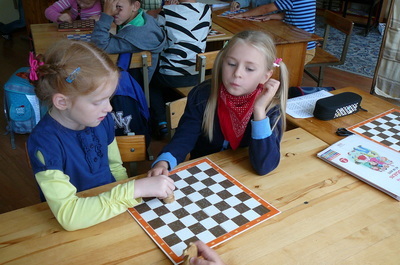 Both books consist of 36 different games. The size is as small to fit in the pocket so it's easy to play and remind the details of the games. 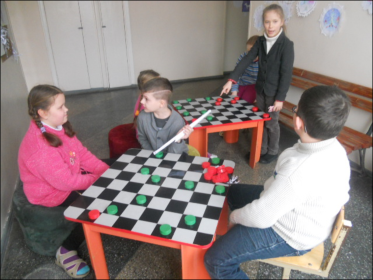 Additionally the badges where made for the game masters (olders students who are trained to teach the games for younger students). 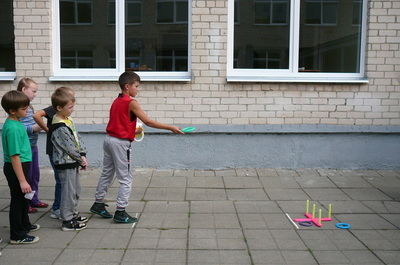 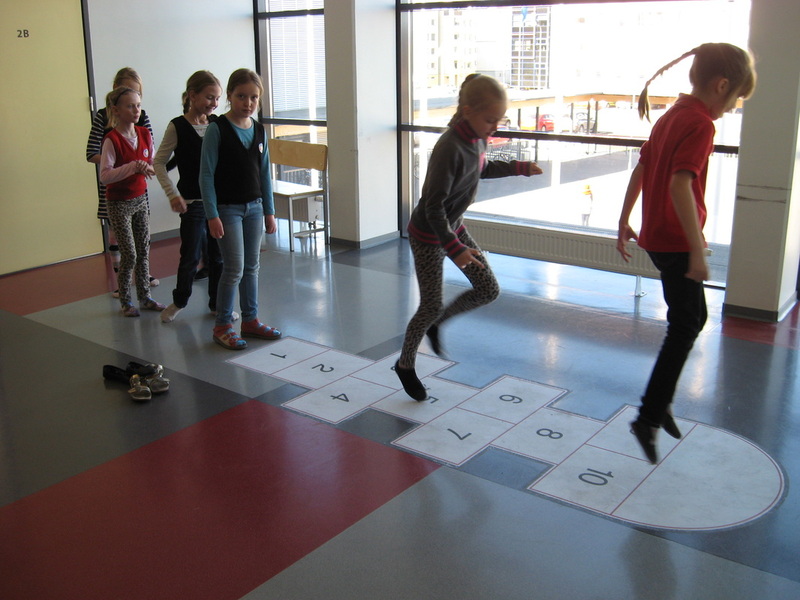 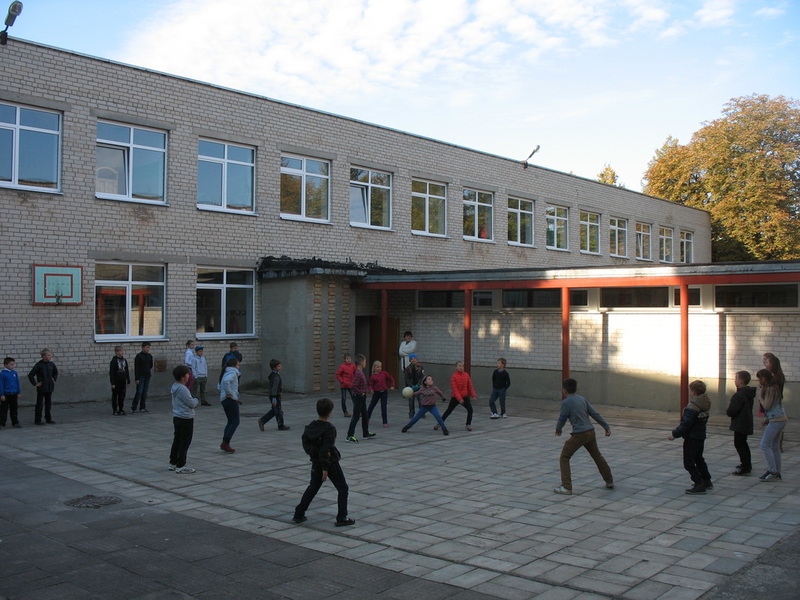 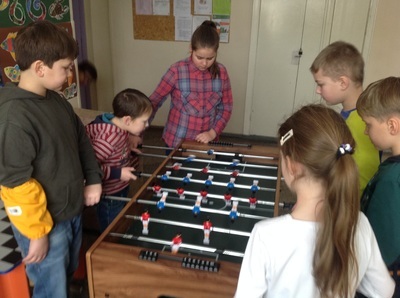 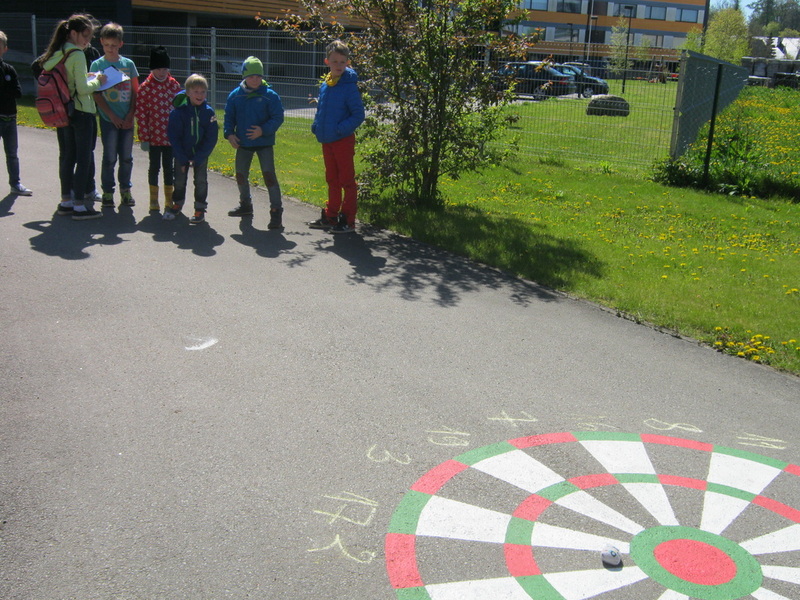 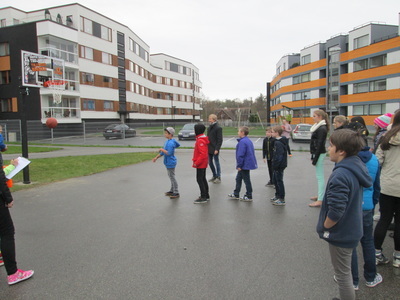 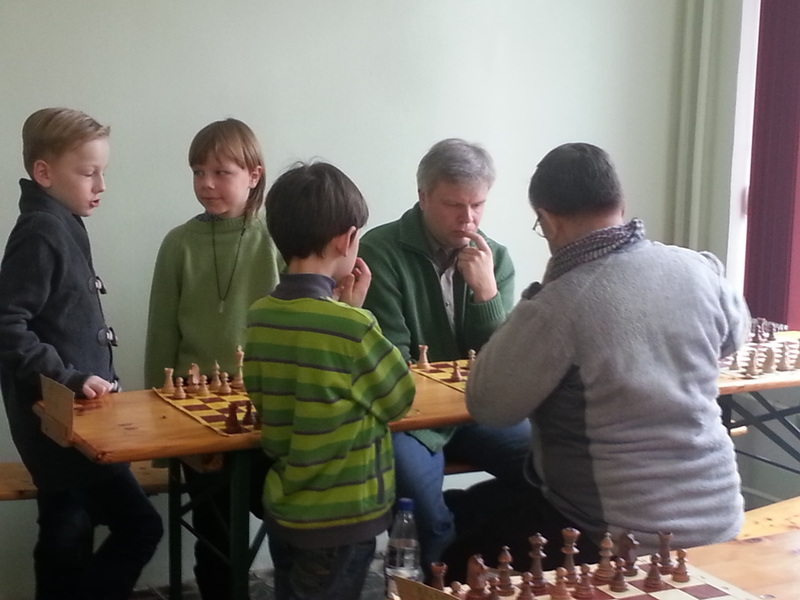 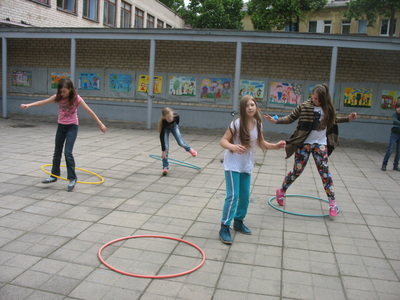 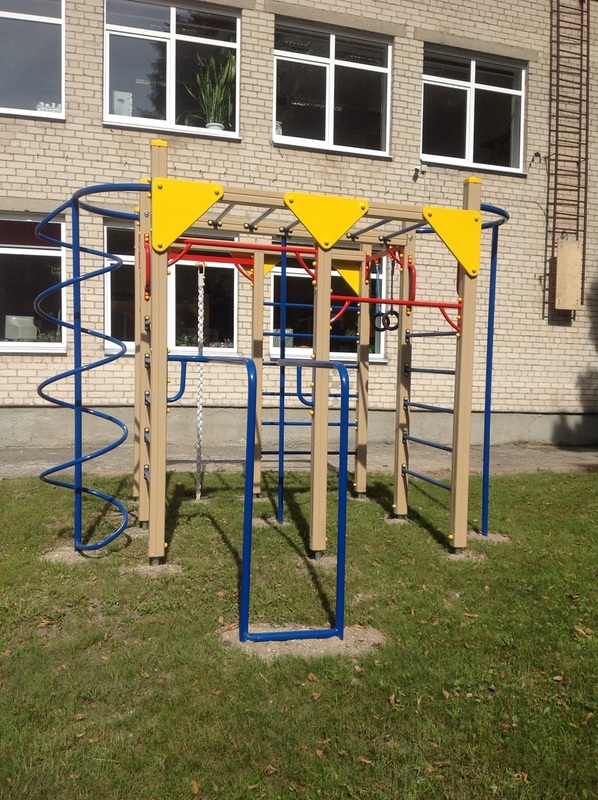 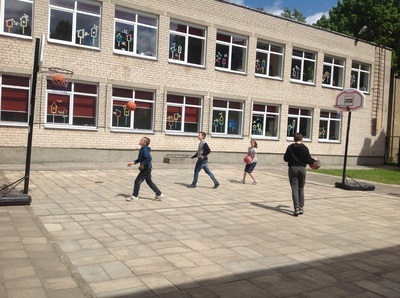 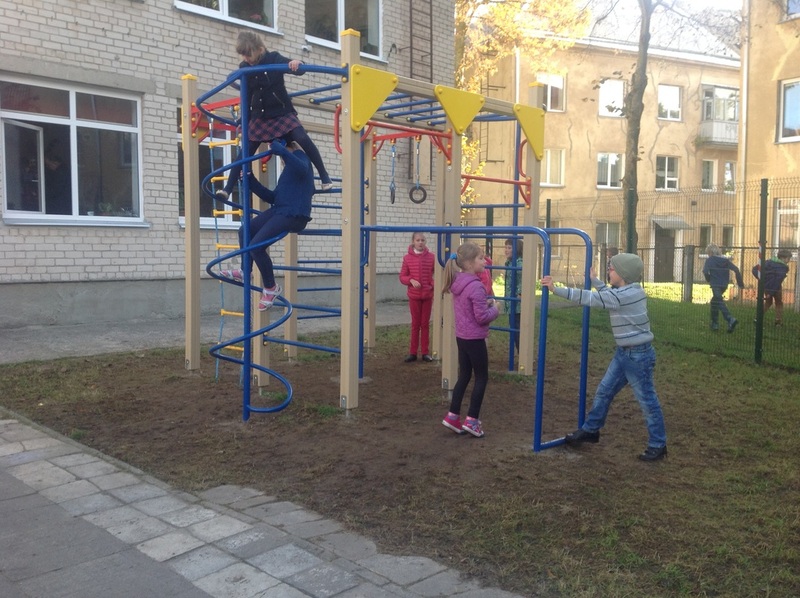 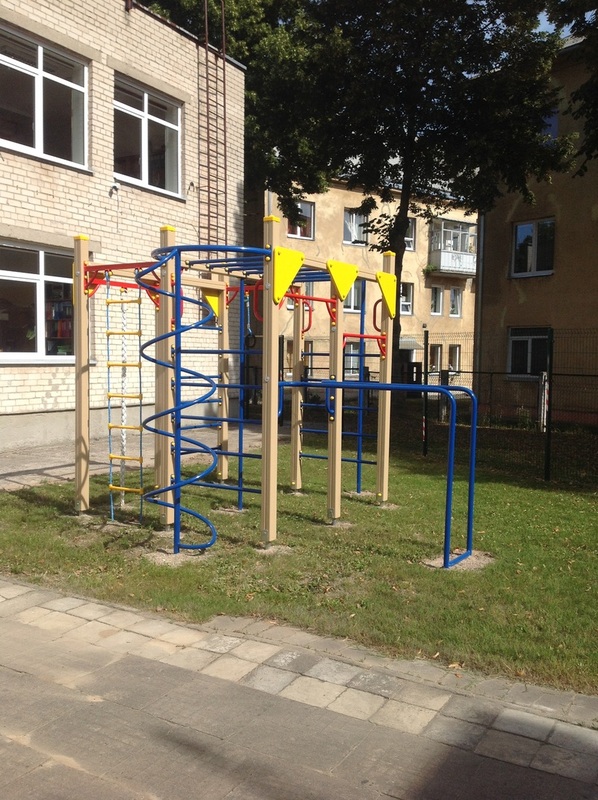 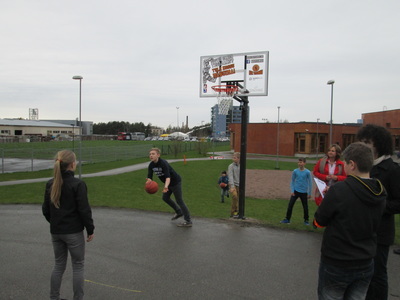 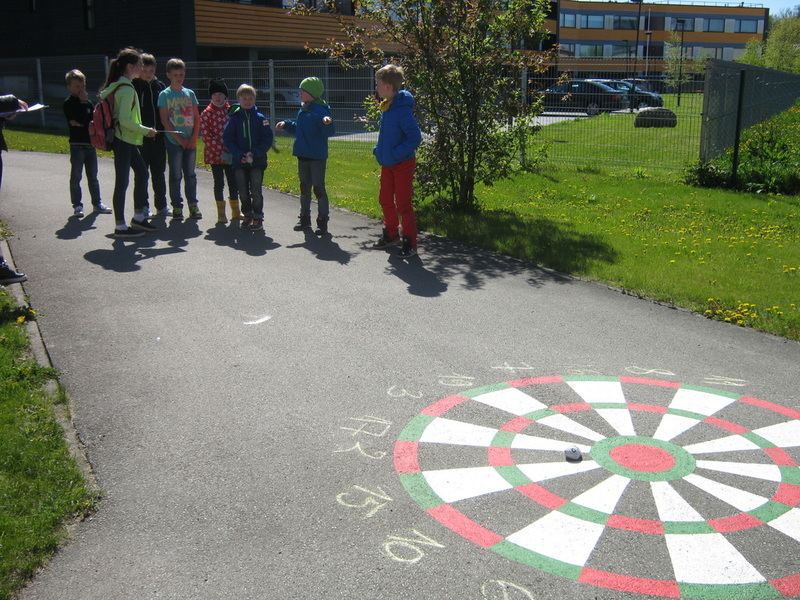 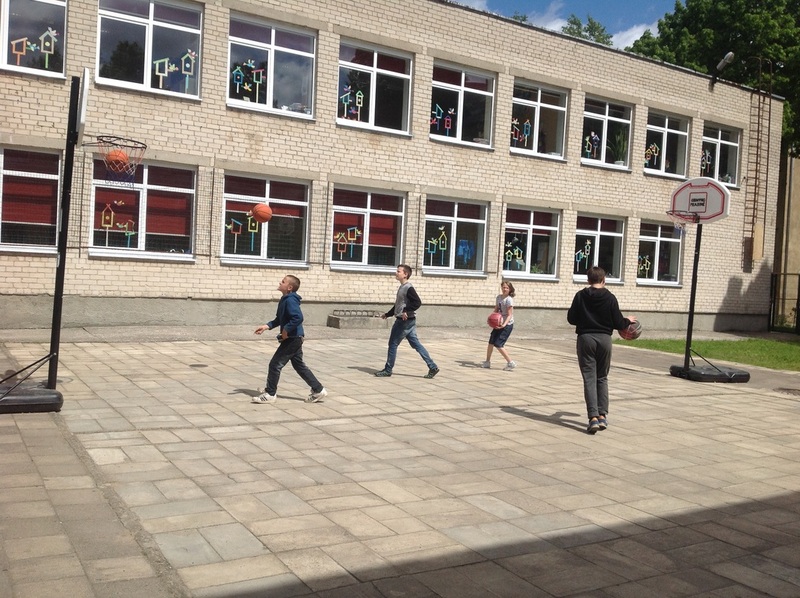 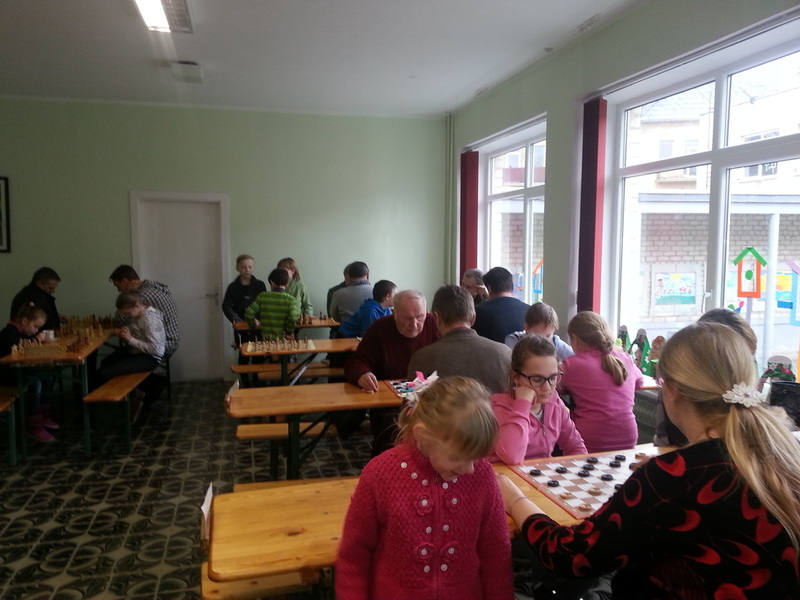 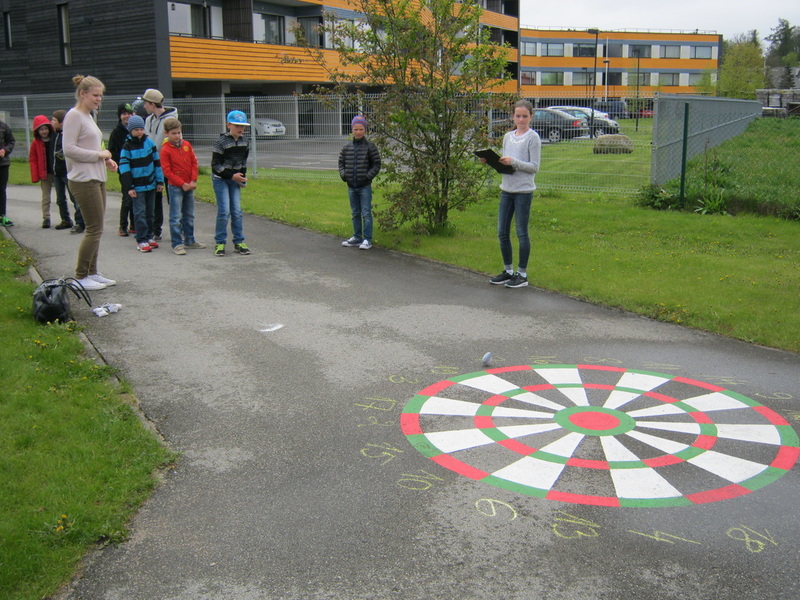 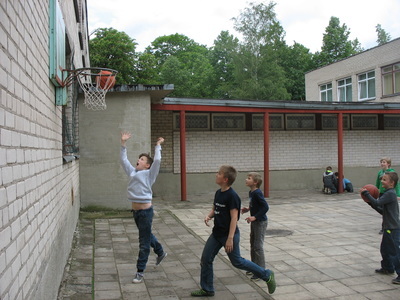 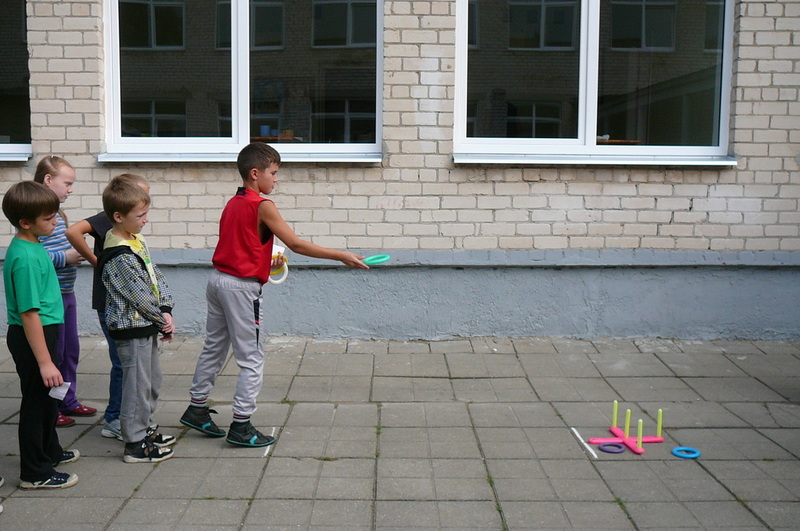 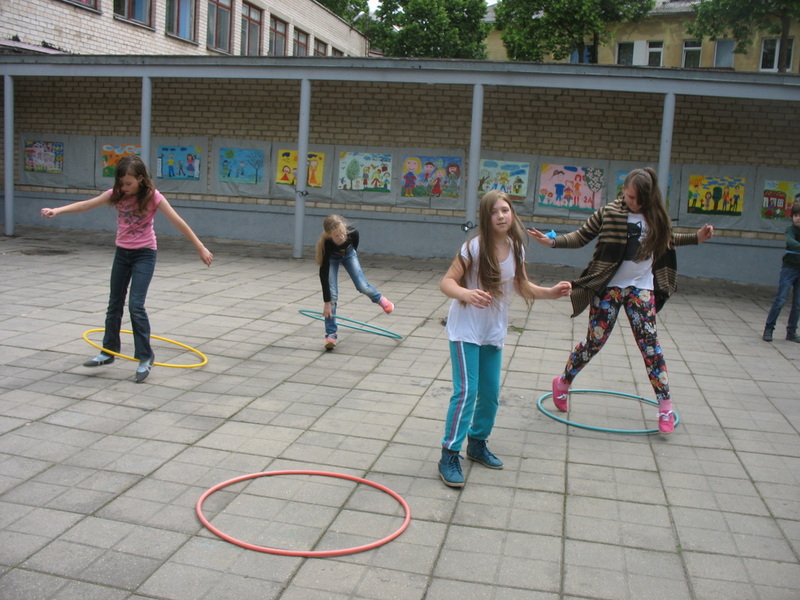 In Lithuania and in Estonia, the game areas were placed into corridors. 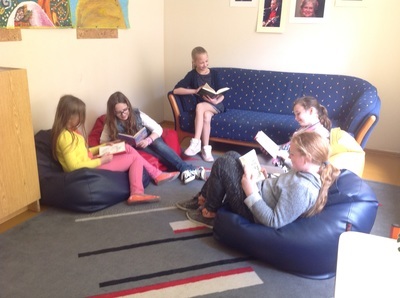 These are very popular among pupils during breaks.